If you haven’t already noticed, we have less than one more week left of class, meaning there is only a short time left until finals. Inevitably in this next month there will be a lot of late nights spent studying mixed with the occasional all-nighter. With the end of the semester approaching like an avalanche there’s no point in trying to out-run the work by procrastinating. Let yourself get caught up in the overwhelming amounts of work and don’t stress about it. Load up your coffee allowance and get ready to splurge on caffeine and sugary treats to keep you energized and awake during this last push. When you suddenly feel the all-nighter coming on remember there are places you can go to study all night and your stuffy apartment isn’t one of them. 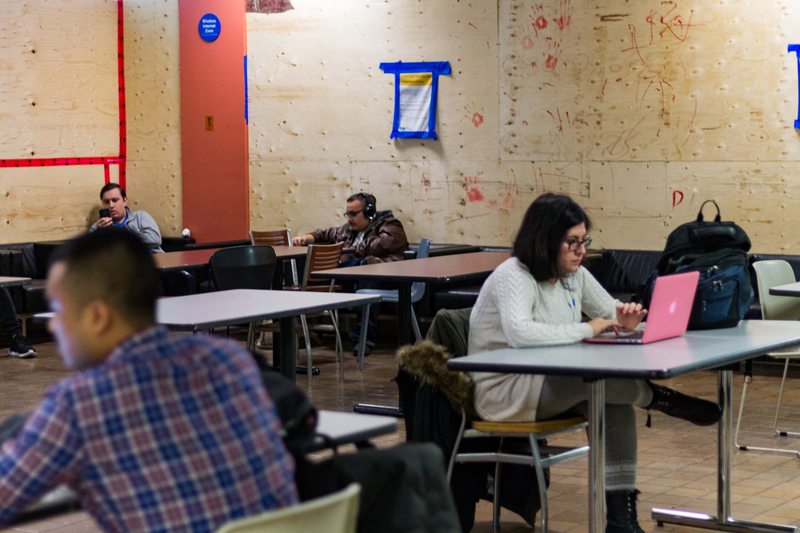 RU Life Hack #3: You can study for 24 hours at study spaces on and around campus. If you like the quietness of campus then you’ll be happy to know all five floors of POD are open 24/7. To get to the space after the SLC and the LIB buildings close, go to the LIB entrance at 350 Victoria Street with your OneCard ready. You’ll also be happy to know that there are microwaves in this building so you can pack your own lunch and heat it up whenever you get hungry. 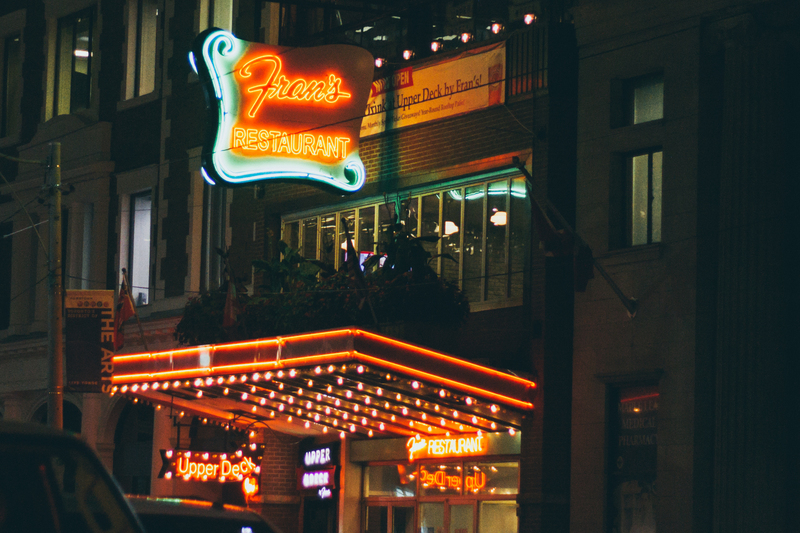 The Fran’s restaurant at Yonge and Carlton is open 24/7, too. But unlike at POD, the food is already warm and you can keep ordering coffees – and milkshakes — without leaving. The restaurant is a historic greasy-spoon diner that has been around since the 40s. They’re most famous for their Banquet Burger or the Fran’s chilli and if you like eating breakfast food at weird hours you can’t go wrong with one of their all-day breakfast plates. If this one gets busy, their location at Victoria and Shuter Streets is open 24/7 as well. 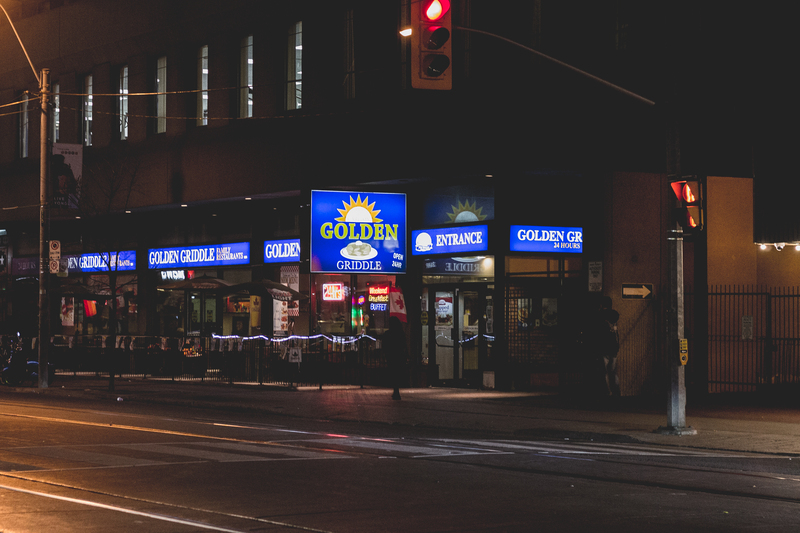 If you like diners, but Fran’s isn’t your style, The Golden Griddle on Carlton also specializes in classic greasy-spoon foods. If you happen to stumble in here on a Friday night you’ll probably run into some drunken students, so enter at your own risk. This place is a short walk from campus making it a good option. If large cups of coffee and slices of rich cake are your thing, 7 West Café is a good place to go for an all-nighter. Beware the restaurant itself is fairly dark so if you’re the kind of studier who needs natural light – or even florescent light – this place probably won’t work for you. Like the Golden Griddle and Fran’s, this restaurant has food but on a higher scale, think less greasy spoon more affordable Italian. In every faculty there are rooms only accessible to students in specific programs that are open all night. If you’re not lucky enough to have one of these program-specific rooms you can make friends with students who do and just tag a long with them. When you find yourself in the middle of an avalanche next week, remember there are places where all-nighters are possible, and in some cases they can even be fun. 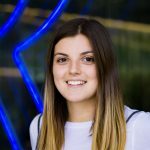 Where are your favourite all-night study places? 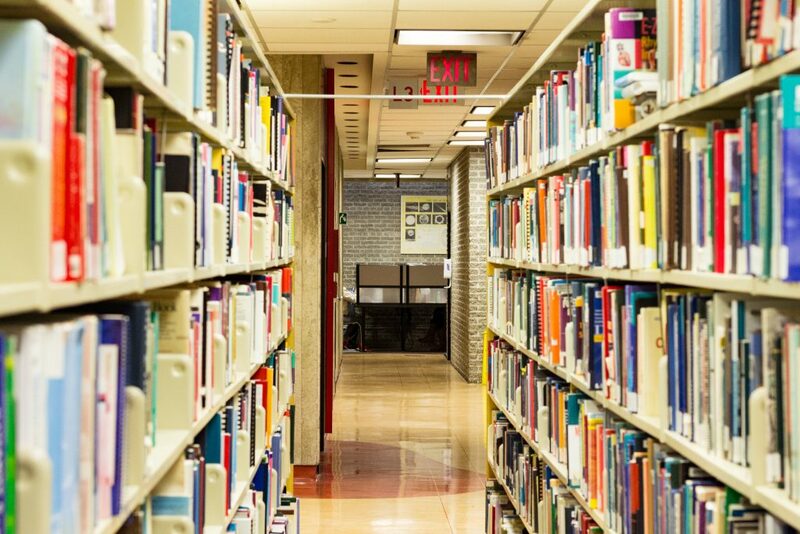 Let us know @RUStudentLife using #RUStudying.